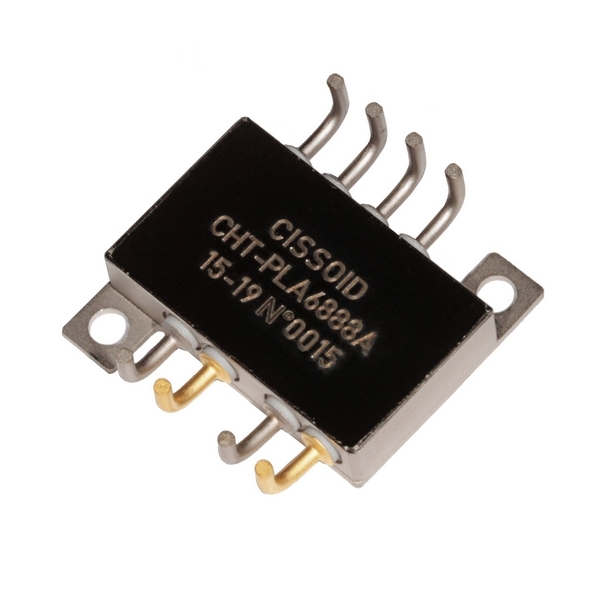 CHT-PLUTO-B1220 is a high-temperature 1200V/20A Dual Silicon Carbide MOSFET in a single hermetic module. The intrinsic body diodes can play as freewheeling diodes with the recommendation to use a small duty cycle to limit dissipation. It is suitable to implement a power half bridge for applications such as DC-DC converters or motor drives in high temperature environments. The two independent switches can be used in parallel to deliver a total of 40A. This product is guaranteed for normal operation on the full range -55°C to +210°C (Tj). Each MOSFET has a breakdown voltage in excess of 1200V and is capable of switching current up to 20A. They have an On-resistance of 40mΩ at 25°C and 120mΩ at 210°C at VGS=20V.